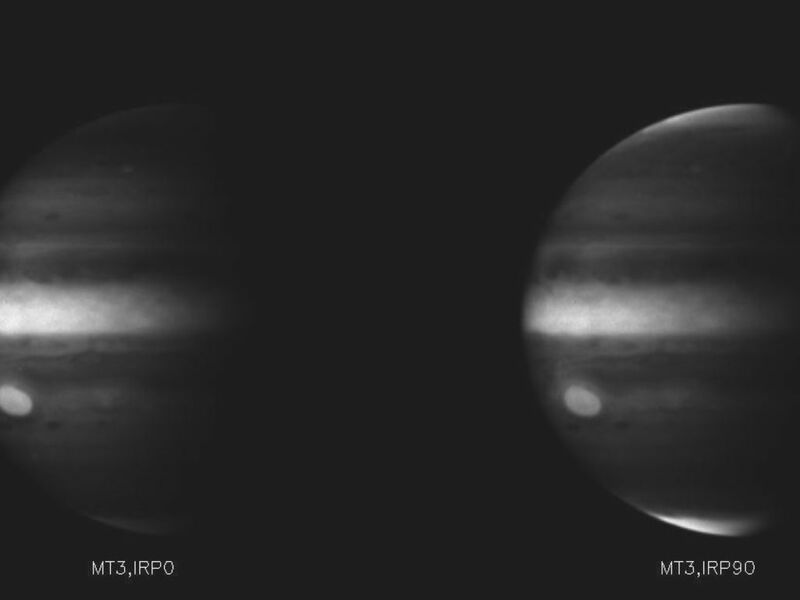 These images taken through the wide angle camera near closest approach in the deep near-infrared methane band, combined with filters which sense electromagnetic radiation of orthogonal polarization, show that the light from the poles is polarized. 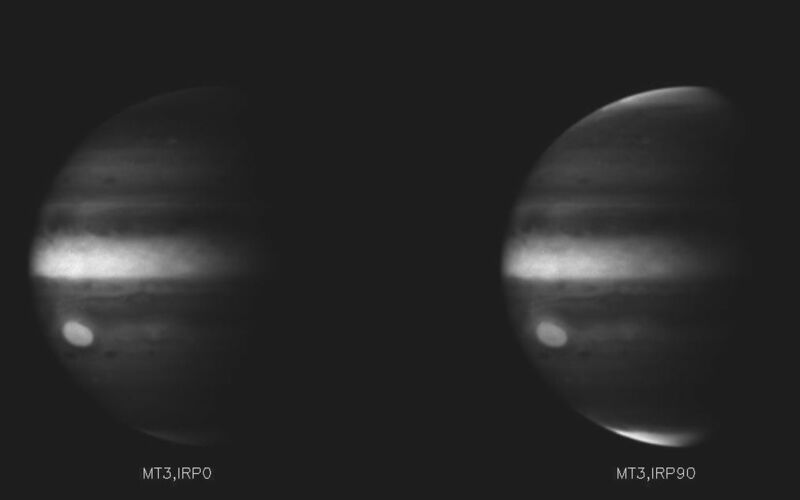 That is, the poles appear bright in one image, and dark in the other. Polarized light is most readily scattered by aerosols. 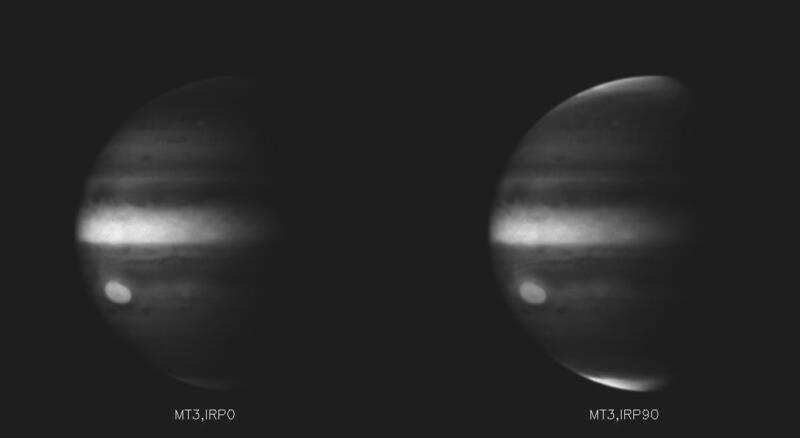 These images indicate that the aerosol particles at Jupiter's poles are small and likely consist of aggregates of even smaller particles, whereas the particles at the equator and covering the Great Red Spot are larger. 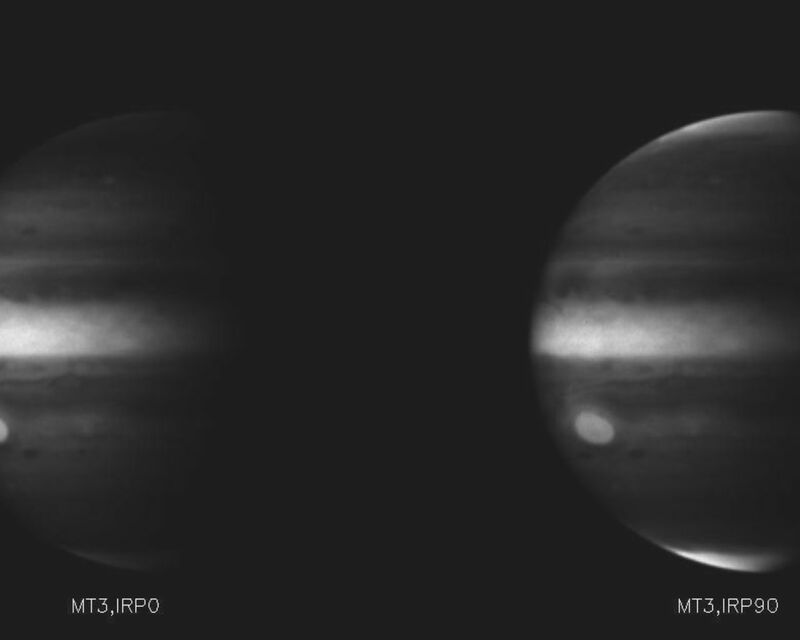 Images like these will allow scientists to ascertain the distribution, size and shape of aerosols, and consequently, the distribution of heat, in Jupiter's atmosphere.